One of the simplest and fastest ways to reduce and eliminate the numbers of all types of ich organisms, as well as flukes and lice that are parasitic on saltwater fishes is to give them a quick freshwater dip or bath. This method of hyposalinity is very effective, takes little time to prepare for, and is strongly recommended as the first step in treating ich diseased fish prior to placing them into quarantine for long-term treatment with the proper medication for what ails them. Taking a saltwater fish out of salt water and placing it in freshwater will put the fish under a certain amount of stress, so keep an eye on the treated fish for signs of extreme stress (laying on the bottom of the treatment container and gilling rapidly). Agitating the treatment water will help to keep the fish moving around and reduce stress. Fill a plastic container of choice with an appropriate source of freshwater, such as RO/DI filtered water. If you have no choice but to use tap water, be sure to dechlorinate it first. To prevent unnecessary shock and stress, try to match the pH and temperature of the freshwater to that of the aquarium water the fish will be removed from. To prevent ammonia from building up in the treatment water, add an ammonia eliminating product. AmQuel by Kordon is highly recommended for this purpose, and it is a dechlorinate as well. Although an optional step, it is recommended that some type of antibiotic medication be added to the treatment water as well. Because fish will be confined in a small amount of water, probably with other fish, the freshwater will cause them to expel waste, which in turn will most likely foul up the water. A nitrofurazone-based product works well to help protect the fish from being exposed to their own waste during the procedure. Keep the water vigorously aerated during treatment. The simplest way to do this is to insert an air stone into the container. Remove all the fish from the infected aquarium and place them into the freshwater. If you have many fish to treat, do not overcrowd the container. You can work with small groups at a time, changing the water after each group has been treated. For the best results fish should remain in the freshwater for a duration of three to four minutes. If any fish is showing signs of undue stress after a minute or two, remove it. 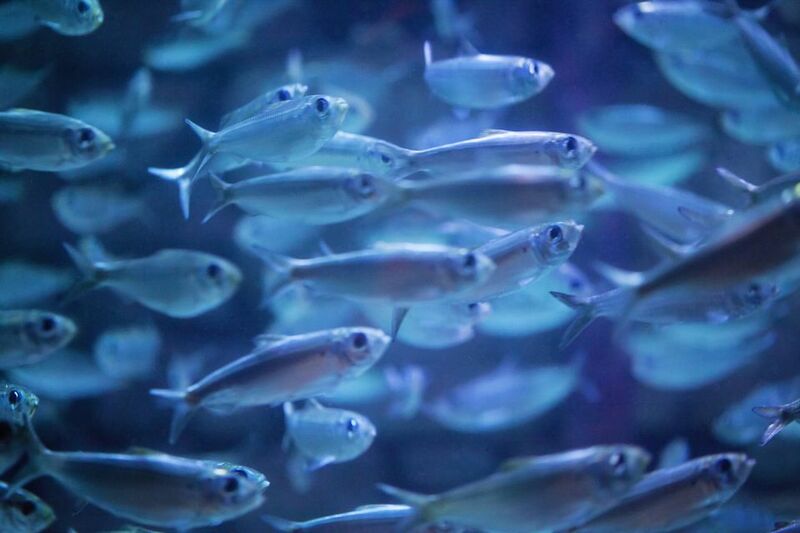 If the fish settle to the bottom on their sides and do not move about, don't worry; they usually right themselves and start moving around within about the first minute. If concerned you can nudge them a little bit to stimulate movement, and if any fish looks to be overly stressed, remove it. Set some extra treatment water aside so it can be used to do water changes during the procedure if the water becomes fouled with waste. If you do not plan to quarantine new fish prior to placing them into the main aquarium, you can give them a quick freshwater dip as a preventative measure, as long as there are no signs of stress from being in transit.